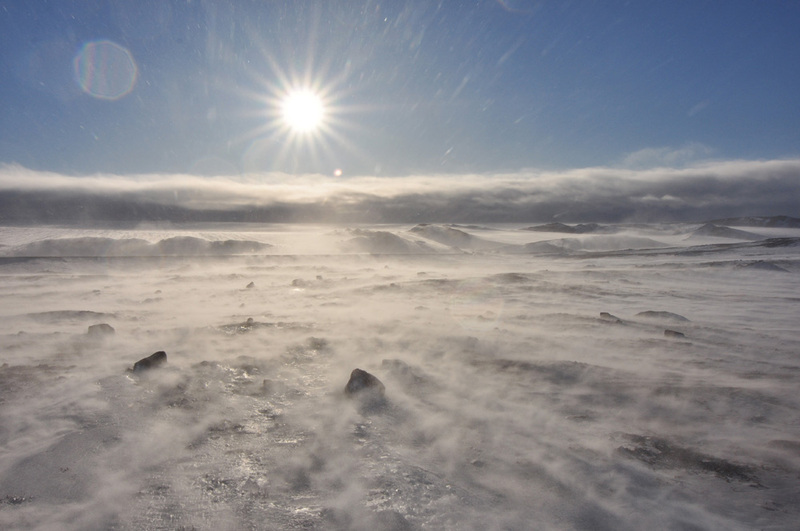 Wind blows off the ice cap--and delays the departure of the GPR team. Robin Davies sent a note this morning with some pictures from yesterday’s GrIT efforts near Thule Air Base in Greenland. Windy conditions, especially at the transition to the ice edge, have been cramping the GrIT team’s plans. But today, the GPR team looking for crevasses and other dangers on the first part of the route are hoping to make a long trip out on the ice sheet, “if the weather holds,” as Robin wrote. 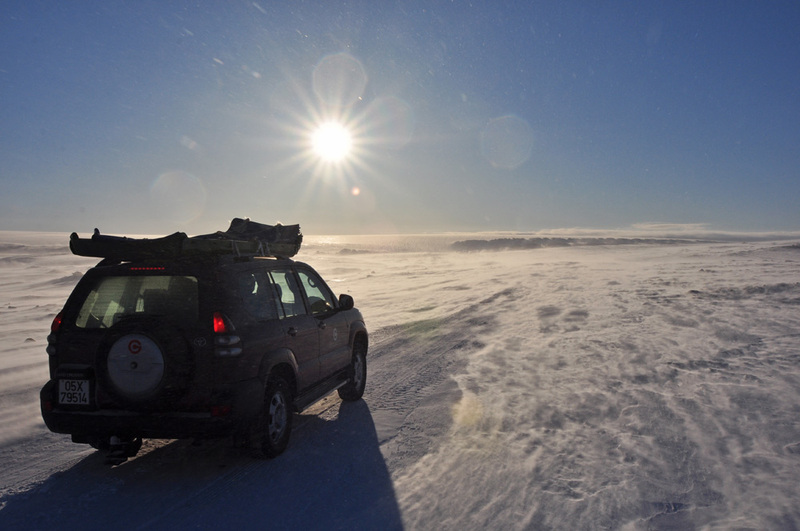 A couple of miles from Thule, ground drifting obscures the road to the transition. Terminal moraines (rocky deposits showing the maximum advance of a glacier) are barely visible at the ice edge. GrIT traverse lead Brad Johnson uses the Case Quadtrac to push snow off the road. Kevin Emery (GrIT medic/mountaineer) uses the Tucker to groom the surface. The ramp (built long ago to ease access to the ice sheet) can be seen in the distance at left.